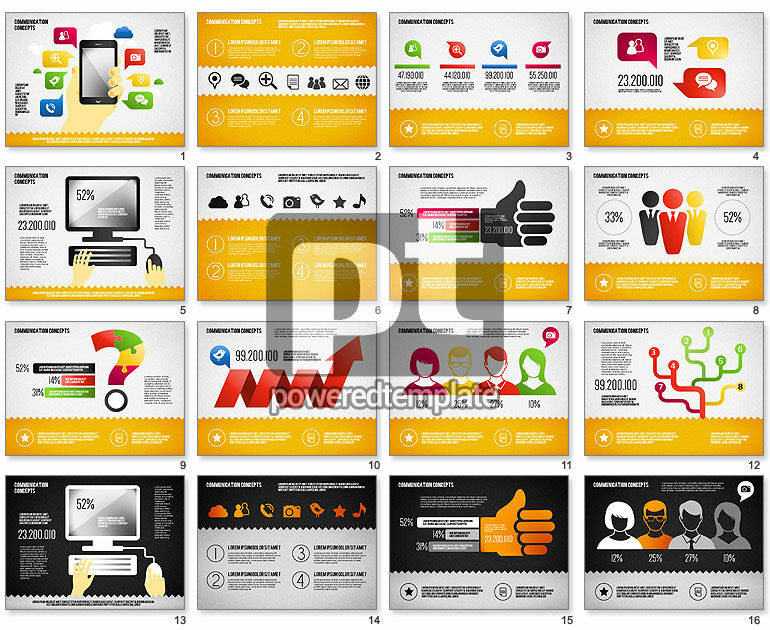 These presentation slides 42290 are complete compatible with Google Slides. Simple download PPTX and open the template in Google Slides. Let everybody enjoy this bright and stylish template. Its stylistics is very comfortable for presentations related to sharing information, social media networking, web content, gadgets, online services and opportunities, etc. This glamorous set has human silhouettes, trees, thumbs up, etc. You may use this theme is different spheres of business, communication, media and even education, etc.